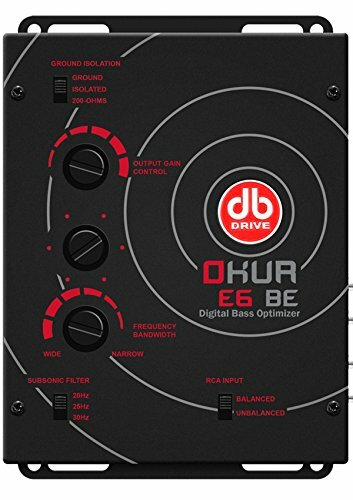 Digital Bass Optimizer. Selectable Output Gain Limiter. Selectable Sub-Sonic Filter. Remote Bass Control Included. Output Level: 8 Volts. Frequency Response: 10Hz - 50kHz - 3dB. THD: 0.0015%. S/N Ratio: <95dB.